Maybe one of your new year’s resolutions is to learn a new language, or to re-learn a language you took in school but can’t speak anymore. We’ve listed the three main options for language learning below, but we’d love to hear your specific suggestions in the comments! Have you learned a new language just for fun, or to further your career? What are your best tips, ladies? Traditional language programs (e.g., Rosetta Stone): You can choose from 25 languages to learn with Rosetta Stone, including Arabic, French, German, Italian, Japanese, Mandarin Chinese, Russian, Spanish, Swahili, and more. Check out a free demo here (after picking a language). You can see the prices here; for example, right now a one-year online subscription is $199, while a two-year subscription is $209, and an instant download of Levels 1-5 is $209. (It looks like these are temporary discounts, by the way.) According to Rosetta Stone’s FAQ page, “It will take about 40-50 hours to complete the content in each level.” Here’s a review from The Economist from a few years ago and one from PC Mag. Free language tools (e.g., Duolingo): With Duolingo you can choose from 15 languages, including French, German, Italian, Russian, Spanish, and surprisingly, Esperanto. This video (autoplay YouTube) explains that the program — which is free, with no ads — teaches you to read, write, listen, and speak through “bite-size skills that look like games.” You can use Duolingo on your computer or get the app, which has versions for iPhone, Android, and Windows phones. The company also offers online language certification for $20. Here’s a PC Mag review and an Economist review. 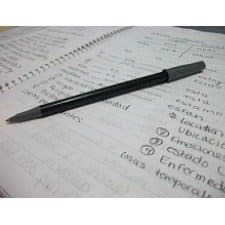 Online tutors/language partners: Many, many options exist in this category, including Take Lessons (language lessons via in-person and live online instructors, $19.95/month), Verbalplanet ($22 for 45 minutes), Verbling (varies; teachers set their own prices), Live Lingua ($9.99/hour and up), LingQ ($0-39/month), and Lang-8 (free). Here are some tips on finding and using an online tutor. Which tools for learning a new language would you recommend? Or have you tried one that just didn’t work for you at all? We’d love to hear your experiences! Pictured: Modern Languages @ FLCC – Costa Rica 2012, originally uploaded to Flickr by The LEAF Project. This is so timeley, Kat, b/c I have been asked by my manageing partner on Monday to learn a new language (SPANISH), b/c many of our cleint’s employee’s who try and claim they are entiteled to Worker’s Comp speak Spanish, and when I take their depo’s, we OFTEN have dificulty getting them to answer question’s. So the manageing partner JUST had Lynn order me the ROSETTA STONE software, which he want’s me to use BOTH at home and on my HOME computer, which is a MACBOOK AIR. I am NOT sure if I can load it at home, so I may bring in my MacBook to have the teck geek do it. That guy alway’s stare’s at me so I will have Lynn sit with me when he is here so he can stare at her. But Kat, I would be very interested in the coments of others in the HIVE as to the BEST way to learn Spanish. When I was seeing Gonzalo, he used to say things in Spanish that I did NOT know what he was saying and mabye I will remember those thing’s when I listento the ROSETTA STONE software. I should have written those thing’s down, but Gonzalo did NOT speak to many words in Spanish to me, or I would have learned it by now. FOOEY! The manageing partner has NOT told me who to bill my hours on ROSETTA STONE to yet, but all of our cleint’s have Spanish employee’s so mabye I can bill all of them. YAY!!!! My public library, and maybe yours too, has free online resources for language learning. Mine provides access to Mango Languages and I used it to learn Italian! So check your library’s website before shelling out for a language tool. I’m using Rosetta Stone for Hebrew. I really like it. Might get it for Spanish to brush up too. My seven year old likes the Hebrew program and progresses faster than I do. I read a book called Fluent in 3 Months by polyglot Benny Lewis. It was full of tips and resources I plan to try when I finally try to learn Japanese…or French…or Italian. One of the things I’ve seen recommended in several places is this flash card company called Anki (I think). The focus is on spaced repetition. It’s computer based so it learns what you know better or worse and organizes the cards so that the tougher ones come up more frequently. Tim Ferriss also covers some of this in his book The Four Hour Chef and in one episode of The Tim Ferriss Experiment. I’m not sure Duolingo would work for starting a new language from scratch, but it’s been helpful to me in refreshing my high school French. I’ve been using Duolingo to learn Swedish from scratch and it hasn’t been terrible. It’s probably not as effective as other ways, but I’ve been repeating some earlier lessons to make sure it sticks. Plus, it builds from the earlier lessons. Would I be able to hold a business meeting in Swedish – no way! Could I ask someone if they speak English or know where the bathroom is – sure. Duolingo isn’t a perfect standalone course for languages you’ve never studied before, but I think it’s a really good supplement to a more structured program, or if you want to brush up your skills. I’ve used Living Language (the $30 complete ones from Amazon) for Italian, German, & French in conjunction with Duolingo and found that combination really helpful. For Slavic languages, Duolingo by itself is…not great. I’ve used a combination of Duolingo, Coffee Break French, and News in Slow French for the last several years. They use different approaches, and I’ve found the combination to be really helpful. Depending on your German level, Deutsche Welle also has a great business German series called Marktplatz (http://www.dw.com/en/learn-german/marktplatz/s-2555) which is available in podcast form. In terms of foreign language magazines, Brigitte (brigitte.de) and Elle (elle.de) are both good for light reading. Handelsblatt (http://www.handelsblatt.com/) is a good business publication with an international edition as well. I used Duolingo recently to refresh my French. I didn’t find it that helpful for conversational/travel purposes. It has a lot of focus on knowing the correct gender of animals and spelling words correctly (including accents). All of this is of little use if I just want to be able to get around in a foreign country. Has anyone had a good experience with an Arabic program? My dad speaks Arabic, but has not been willing to teach me (lack of patience), but I would love to surprise him by learning at least enough to convey greetings and thanks and welcome to his family members. I’ve considered Rosetta Stone, but if anyone else has suggestions, I would appreciate it. I tried Duo Lingo Korean today and it’s full of ads. They don’t stop. I can click ‘no thank you’ but they pop up often. I started as a ‘true beginner’ (their designation) and it only went over a few vowels and then wanted me to translate words. Had I not been studying Hangul for 6 months I would have been lost. I don’t know about the other languages with this program but the Korean one needs to be set up differently. A person needs a chance to learn a word first and then use it often to set it in memory. To get back to this morning’s thread, GYM and JIM sound different? I am a native English speaker / Army brat. Is this a regionalism? What. No. Native speaker, lived all over the country, never heard this before. Not to me, also lived all over the country (but I also never heard the Aaron/Erin difference, even when I lived in Boston). Connecticut here..with Irish grandparents. There is a slight difference between Erin, my dog’s name (mouth more closed..said closer to the front of the mouth), and Aaron, my son-in-law (tongue and mouth a bit more open, lips more open and said a bit farther back of the mouth. Jim and Gym we pronounce the same. I hadn’t given those much thought until this thread. This makes me think of Homer talking about going to the gym, which he pronounced like “guy” with an “m” on the end. When I was looking into doing some traveling last year I tried out a few free lessons with Fluenz and liked it. It was kind of like a high school language class where they actually taught you useful things like grammar and sentence structure so I was able to take taxis and order at restaurants. Much better than Rosetta stone or Duolingo, which seems like memorizing some vocab words. Ooh, ooh! I actually have a fourth suggestion, for folks who really need structure learning language. 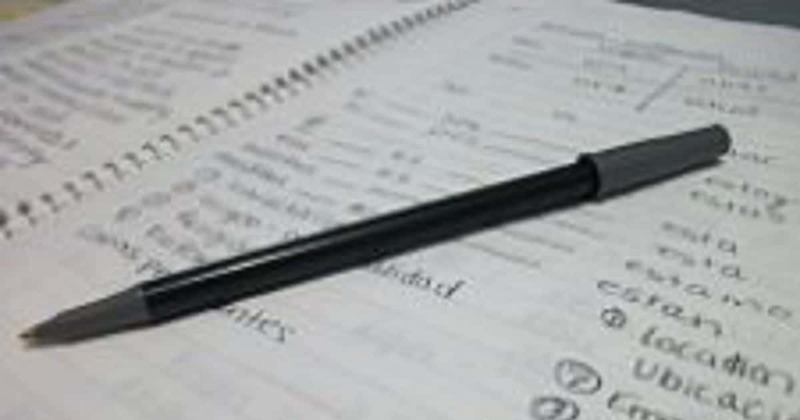 Some community colleges offer language classes that only meet one or two evenings a week. A friend of mine recently signed up for a Spanish class that meets T/Th evenings. It’s usually a couple hundred dollars, though and it might only be accessible in urban areas. Another idea is sign language – I’m taking ASL at a local school for the deaf one night a week, because our pro bono legal clinic tends to get deaf/HOH clients from time to time and I hate sending folks away with a relay translation number when they’ve made an effort to attend the clinic in person. Sign language is also honestly the most fun class I’ve ever taken (our teachers work with little kids all day so they’re super patient and enthusiastic), and my dream is to someday join the Scottish-clan-like spiderweb of deaf culture in my town, where every deaf person somehow knows every other deaf person and their family history to boot. Once you get a foundation in a language through any of the options Kat or others have listed, try meetup.com to find conversation groups in your area. It makes you apply what you’ve learned online/in book form and you can get feedback on areas you need to improve. Plus, you might meet other people in a similar situation to yourself and you can help one another! +1 just started going to a Spanish Conversation Meetup. It’s offered at a language school so there’s a professional teacher/speaker but it’s basically unstructured time for practicing and getting to meet people! Ours is a large city so this Meetup group has different levels meet on different days, so beginners can flounder with others and the more advanced can speak at their own pace. 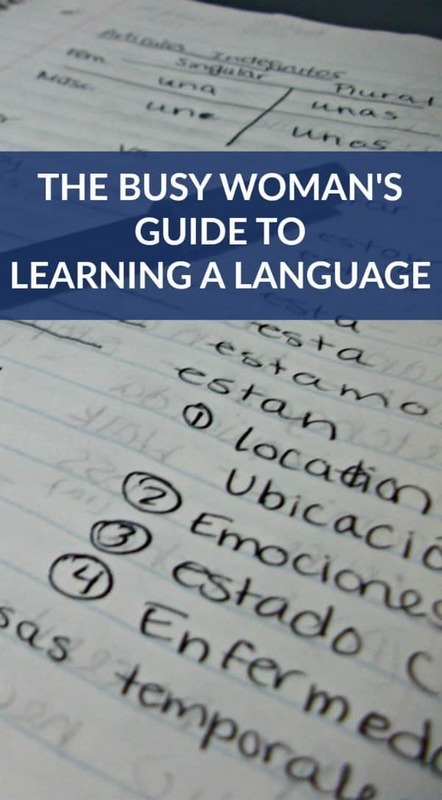 This is actually really timely as I recently spent a bunch of time during my December break from work refreshing my Spanish and starting to learn French. I have a very mixed opinion on Duolingo. It was good for brushing up on some things I’ve already learned in Spanish, and getting some basic vocabulary in French (and making a game of it to encourage you to keep at it day-after-day). However, the fact that it refuses (at least on the app) to explain ANYTHING does not suit my learning style at all. Their motto seems to be learning by immersion, and that you’ll get a feel for the verb tenses as you go, but I find that for me personally I REALLY need a basic layout for how the regular verbs with different endings end to understand how the conjugations work in a new language. The complete lack of any sort of verb table or explanation of regular verbs was super annoying when just starting to learn a language (French) and also quite annoying with some of the more “difficult” tenses of Spanish that I learned later on in schooling and had less practice with than the easy tenses we learned in 6th or 7th grade and used for years. Also, I found that some of these more “complicated” tenses in Spanish have very little coverage on Duolingo and these are some of the harder ones to learn. Eg. the subjunctive is covered very briefly right at the end. On the other hand, I’ve actually found MEMRISE’s introductory French course to be far more useful. They use repetition and actually give you the phrases and words both ways (French –> English and English –> French) and have you review the words and phrases you’ve learned so far on a recurring basis. Their method seems MUCH more effective in getting the words to actually stick in my brain. On top of that, they provide some brief explanations – eg. for why je aime becomes j’aime but il aime doesn’t have a contraction and mentions that the first vowel is the one that goes etc. They also have you use a similar phrase with several different subjects which helps with starting to grasp the verb tenses etc. Also the audio clips are of various native speakers instead of the often-unintelligable computer voice on Duolingo. And people can add additional courses which brings up helpful options like learning the first 5000 most common words in a given language. I’ve never used Rosetta Stone, so I can’t give an opinion from personal experience. However, everyone I talked to who purchased it felt it was not worth the money at all. That said, maybe it’s different if you can convince your employer to pay for it. Me personally? I caved and went on Amazon and bought a couple introductory French books and an AP Spanish review book. Maybe not the trendy “cool” way at the moment, but at least they’ll actually break down the verb tenses and conjugations etc. That for learning reading/writing + listening via TV/radio programs/podcasts/etc and then hopefully tracking down a real-life or online skype-buddy to practice speaking should make for a good combo. I also second the recommendation for using Anki to study vocabulary, I’ve found the spaced repetition algorithm to be truly effective in actually remembering and recalling words for use. I’ve found Duolingo to be fun for reviewing words/grammar structures I’ve learned elsewhere, and it’s nice to mix up ways of studying, but I don’t think it would be all that useful on its own. I too struggle with the immersion styles of learning, I so prefer being handed a textbook with all the conjugations and grammar explanations (and on that note, I am just loving the book Easy Spanish Step-By-Step by Barbara Bregstein). On Netflix, I can select Spanish audio and Spanish subtitles on many programs I enjoy watching. I recommend “The Time Between” aka “El Tiempo Entre Costuras” for starters! I love the Pimsleur program. It’s an oral based program. I listen to it while commuting. I checked out the cds from my library and ended up buying the first 10 units on Amazon for $13. Good way to try it out. I believe they’re also free with an audible subscription. I’m doing the Japanese language.